Radon gas is everywhere and we always recommend performing a test on your residence or one you are considering for purchase to make sure that the concentrations are below the EPA’s action levels (4.0pCi/l). Here is an article from NBC News that helps shed a little more light on the subject. Ohhh ya and the evils of fracking!!! Levels of radon, an invisible, odorless radioactive gas, have been rising measurably in Pennsylvania since the controversial practice of frackingstarted there, researchers reported Thursday. The study cannot directly link fracking with the raised radon levels. But whatever is going on, residents need to be aware of the rising levels of the gas and take action to get it out of their homes, the researchers say. Radon is the second-leading cause of lung cancer in the U.S., killing an estimated 21,000 people a year. It occurs naturally in many types of rocks, and many people who have bought or sold a home will be familiar with the radon test on the basement or ground floor. Pennsylvania has notoriously high levels of radon, and Joan Casey of the Johns Hopkins Bloomberg School of Public Health and colleagues set out to assess all the different sources of radon on Pennsylvania homes over time. They got state data from every Pennsylvania county, looking at radon readings between 1987 and 2013. This covered nearly 2 million tests done in 800,000 buildings. “We evaluated associations of radon gas concentrations with geology, water source, building characteristics, season, weather, community socioeconomic status, community type and unconventional natural gas development measures based on drilled and producing wells,” they wrote in their study, published in the journal Environmental Health Perspectives. “The geologic rock layer on which the building sat was strongly associated with radon concentration,” they added. That’s been known — certain types of rock are more likely to contain the radioactive elements that break down into radon gas. Are Oklahoma Earthquakes Tied to Fracking? But they also noticed a trend over time. Depending on where in the homes the radon was measured, radon levels started inching up in either 2004 or 2006. And the trend was linked with just how much unconventional drilling was going on. This includes horizontal mines and hydraulic fracturing or fracking. “Between 2005-2013, 7,469 unconventional wells were drilled in Pennsylvania. Basement radon concentrations fluctuated between 1987-2003, but began an upward trend from 2004-2012 in all county categories,” they wrote. Radon gas levels were higher in homes near where there were more of these wells. “Nearly 300,000 homes had a first basement test result that exceeded the EPA action level,” they wrote. In other words, a level high enough to merit doing something to get the radon out, including the use of fans to flush the gas out of a building. It is possible that homes just happened to get sealed more tightly over that time and this accounts for the higher radon levels, the researchers said. 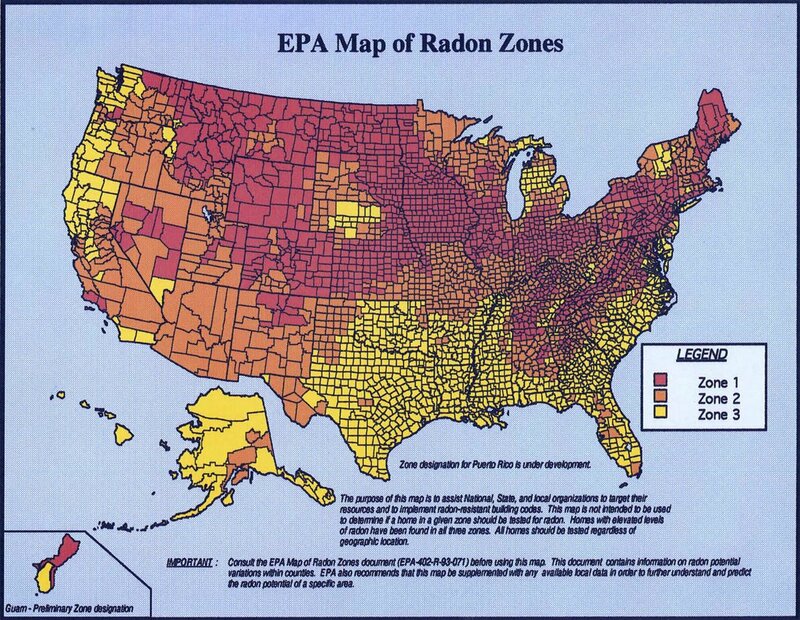 But it’s also possible that the radon is coming into homes through the air. Fracking involves high-pressure injection of water into shale rock to get the natural gas out. The gas and the water both can then carry radon with them. People who live in areas near fracking activity often complain that their well water is contaminated. The chemicals released by the fracking process are toxic and the water used in the process must be disposed of safely. It’s an issue that increasingly concerns regulators. Experts are also noting that fracking may set off small earthquakes in places ranging from Texas to Ohio. New York has considered banning the practice. Fracking is now regulated almost entirely by the states, though the EPA is considering federal regulation. Dozens of countries, including the United States, Germany and New Zealand, use fracking to get at shale gas and oil supplies. It’s a way to use otherwise unrecoverable natural gas, which is far cleaner to burn than coal. The industry denies it’s polluting people’s water. Dr. Bernard Goldstein, former dean of the University of Pittsburgh School of Public Health and a former Environmental Protection Agency official, says the industry must step up and investigate. “The industry needs to abandon this excuse it hides behind which is, ‘we’ve been doing this for 65 years, why are you worried’?” Goldstein told NBC News. “That’s simply wrong. This ought to be treated as if it’s something, like nanotechnology, which is a new thing that needs to be done carefully,” he added. 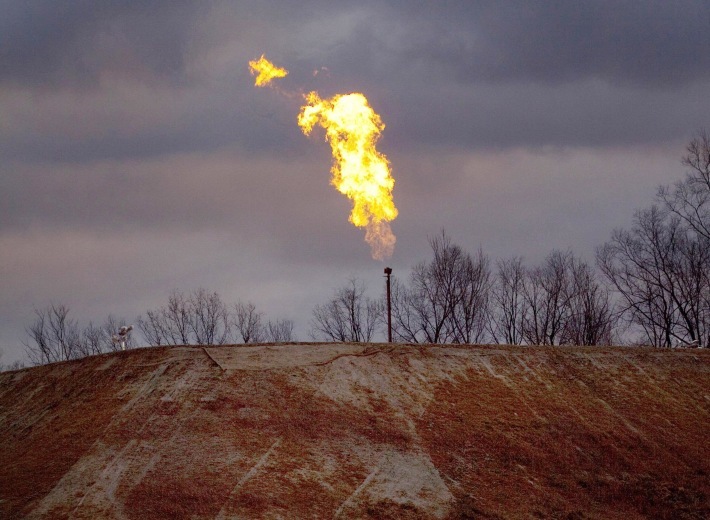 A gas flare burns at a fracking site in rural Bradford County, Pa., in 2012. Meantime, people need to be aware of the risks of radon gas in general, said Goldstein, who was not involved in the study. “Something everyone should be doing is to measure their radon gas and to cut down on the exposure to radon, to use radon remediation techniques,” Goldstein said. “Some of them are as simple as putting a pipe in the basement all the way up to the ceiling so it exchanges the radon gas inside for the clean air outside,” he added.